Alli with the world record, all smiles! Port Canaveral, FL. Evolve Freediving along with Allison’s father, Joe Penovich, are proud to announce that Alli Penovich of Cocoa Beach, FL set a new spearfishing world record in the women’s speargun division while freediving on just one breath of air, harvesting an 11.4 pound (5.2 kg) northern red snapper, Lutjanus campechanus. The record was witnessed by her father, brother, Daniel Penovich, grandfather, Frank Penovich and family friend, Zack Spurlock. On August, 23, 2013 17 year old, Alli Penovich, went out for a spearfishing trip on her father’s 41 foot Tempest. The affectionate group of spearos anchored about 15 miles north of Port Canaveral. Alli, Joe and Zack hit the water first leaving the other two behind in the Tempest for safety. Alli breathed up and swam straight to the bottom in 58 feet of water to wait for a world record to swim by. 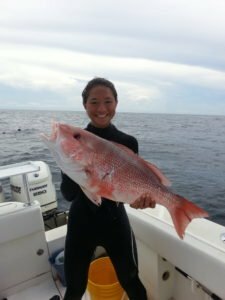 At 3:15 p.m., armed with her Daryl Wong speargun rigged with a reel, Alli waited patiently until a school of red snapper presented itself. She picked out the biggest one and took her shot. 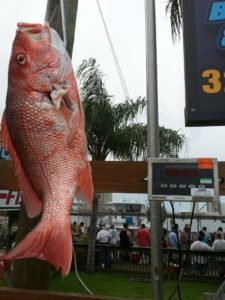 It proved to be big enough for a new world record at 11.45 lbs with a girth of 20 inches, forklength of 25 inches and overall length of 27 inches. The world record on the scales. 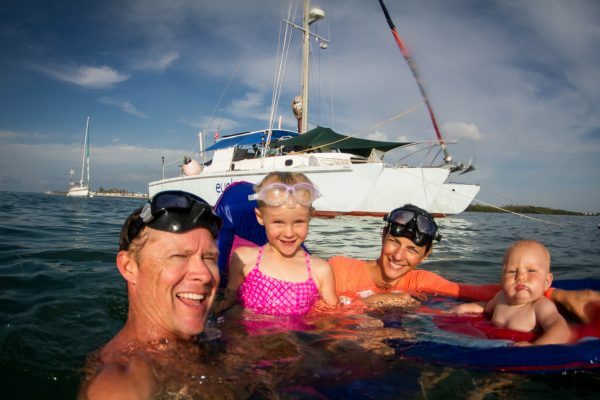 “World Records are nice but they pale in comparison to watching my daughter becoming so comfortable in the water, in all situations, whether going deep or dealing with sharks. 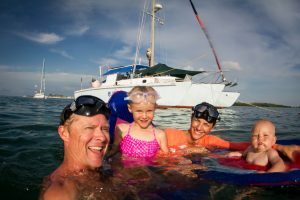 To share this love for freediving and spearfishing is a rare thing to have between a father and daughter. I am so blessed, but trumping all of this by far is the good decisions Alli is making out of the water in how she lives her life. I could not be prouder as a father!